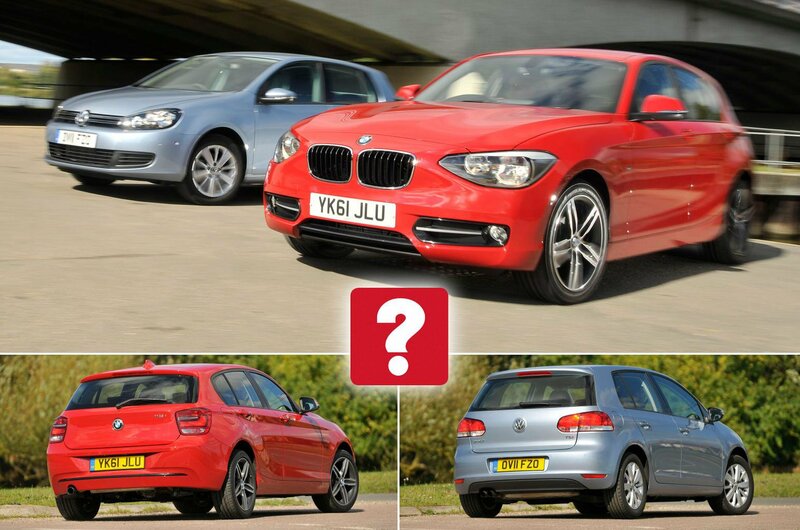 Used VW Golf vs BMW 1 Series | What Car? It’s the drivers’ choice, but is the BMW badge really worth paying a premium for? So you’ve read the articles in the newspapers about how diesel’s done for, and being the erudite What Car? reader you are, you’re rightly taking them with a pinch of salt. Having said that, you’re probably a little unsettled, and starting to wonder whether your next family hatchback really needs to be diesel-powered – or whether you might be better off with a smoother, quieter petrol-powered alternative instead. We don’t blame you. Plenty of other used car buyers are thinking exactly the same thing which is why we’ve brought together two of the most plentiful petrol-powered used hatchbacks around to find out which you should plump for. In the red corner, we’ve got the BMW 1 Series. In this pre-facelifted form, it isn’t the prettiest thing in the world, but it promises an exciting driving experience and, in 116i form as here, looks better value than its diesel counterparts. 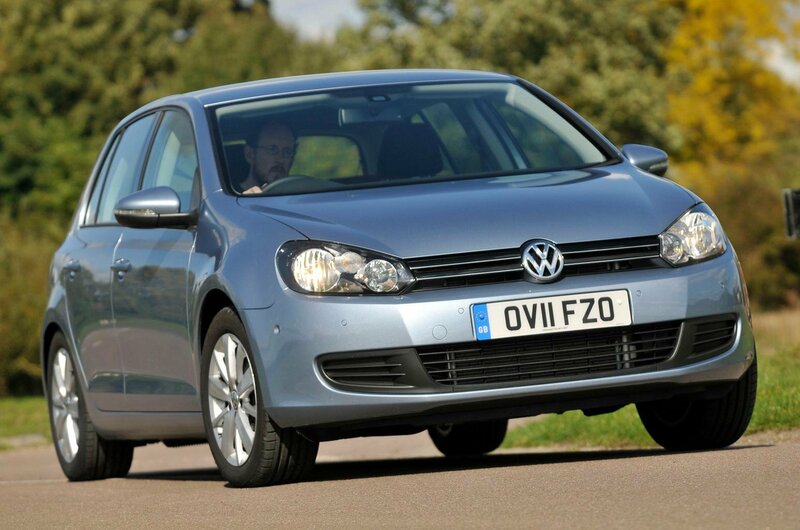 But in the blue corner, the Volkswagen Golf is even cheaper to buy – yet it feels just as upmarket inside. And powered here by the popular and flexible 1.4-litre petrol turbo, it promises to put up quite a fight. Both of these cars have turbocharged petrol engines which gives them a solid amount of oomph right where you need it in everyday driving – that is, in the middle of the rev range – but the BMW’s dishes out an extra 13bhp, which is why it has the edge for outright performance. That said, because the BMW’s gear ratios are longer – which gives it better cruising ability at the cost of acceleration – you need to work the engine harder to access that performance. Consequently, the Volkswagen feels stronger at low revs which makes it feel quicker off the line. The Golf is also the quieter of the two cars. Its engine remains smooth and quiet even when it’s pushed hard, whereas the BMW’s can get rather vocal. The 1 Series also generates more wind, road and suspension noise which means it’s the less unruffled of the two cars at high speed. 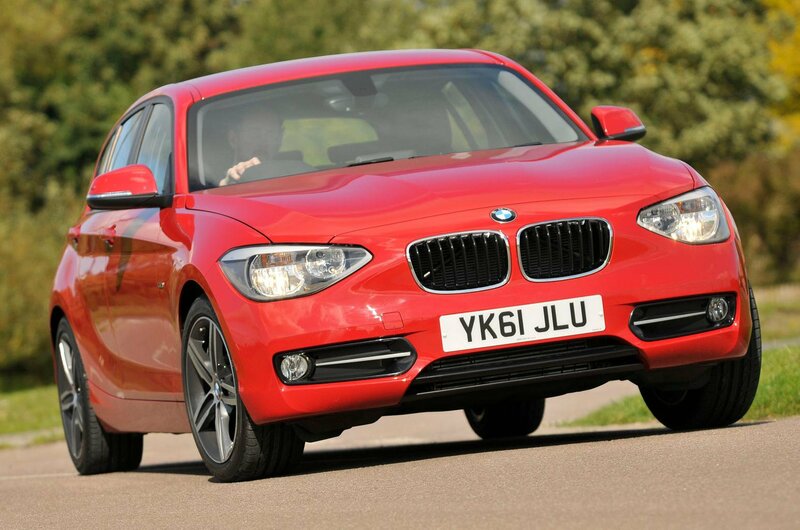 The 1 Series is the only family hatchback which sends its power to the rear wheels, rather than the front ones. The theory is that this makes it handle better than its front-drive contemporaries, because the front wheels don’t have to cope with both steering and getting the engine’s power down onto the road at the same time. So it proves out in the real world. 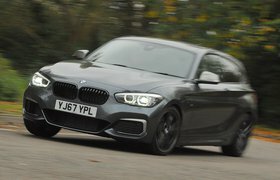 Although the 1 Series leans over more than the Golf through bends, it feels better balanced, with its nose responding more faithfully and the ability to adjust your line more finely using the throttle alone. The 1 Series came with a system called Drive Control which allowed you to change the setup of the steering and throttle and, if fitted, the automatic gearbox. Switch this system from Comfort mode to Sport or Sport Plus, and the BMW’s initially light steering weights up nicely. It provides more feedback than the Volkswagen’s, although its initial sharpness means that the whole car feels a little more darting and less settled on the motorway. Where the Volkswagen has the edge is in ride comfort: it’s both more supple and settled at all speeds. That said, the 1 Series isn’t at all harsh, and it’s important to note that our test car was fitted with non-standard run-flat tyres which can upset a car’s ride quality. Who has What Car? helped this month?